He was put in a tight spot with some tricky questions but the youngster managed to answer most of them. There is absolutely no doubt that Shubman Gill is one of the most talented youngsters in world cricket right now. The right-handed batsman has been earmarked by the majority to make it big in the game. Well, the way his career has panned out so far, Gill definitely looks set to live up to expectations. But while the world is aware of his cricketing ability, it recently saw another side of him. 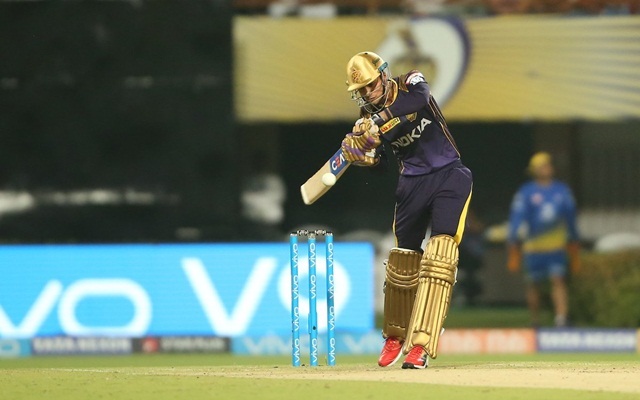 Gill’s latest clip posted on Kolkata Knight Riders’ official Twitter handle is more than enough to put even the biggest of cricket experts to shame as the youngster showed remarkable knowledge in a guessing game. The franchise posted a clip on its Twitter handle, showing the youngster trying his hands at ‘Can you guess it’. And it would be pretty much safe to say that Gill left one and all impressed with his performance in the game. He was put in a tight spot with some tricky questions but the youngster managed to answer most of them. Gill had to guess the cricketing terms after seeing some signs and he came out with flying colours in most of the questions. After scoring heavily for Punjab in age-group cricket, Gill broke into India Under-19 side and has not looked back since then. In the Under-19 World Cup last year, he slammed 372 runs at an average of 124 and bagged the Man of the Tournament award. The performance helped him bag a lucrative IPL deal as Kolkata Knight Riders (KKR) bought him for INR 1.8 crore. In the IPL, he scored 203 runs including a match-winning fifty against eventual winners Chennai Super Kings (CSK). Some impressive performance for India A then further enhanced his reputation. Earlier this year, Gill was given a surprise call for the ODI series in New Zealand after his stunning outing in the ongoing season of the Ranji Trophy. In just 5 games, he scored 729 runs at an average of over 104. However, the youngster failed to grab his chances, scoring just 9 and 7. Do Royal Challengers Bangalore have second thoughts over the retention of Virat Kohli in IPL 2018?